Search engine optimization is part of every online business. In order to succeed you need to be found by major search engines. And not just found, you also need to be present in top search results. Search engines are getting smarter. This is especially true for Google. It is very hard to achieve top positions for many competitive search phrases. All you can do is to optimize your pages in such a way that they will be found as authority pages with useful content. Content is the most important factor to rank high in search results. But there are also other factors that determine your position in search results. Keywords, back-links, anchor texts, unique content, SEO tools and promotion are topics of discussion in SEO communities. It would be ideal for you to choose one of the ways or its combinations to get best results. Here are some of the SEO Basics for your online business website. You need to submit articles on a regular basis that highlight the services of your company in an elaborate manner. In the end, you need to mention the URL of your company’s website so that people can visit and opt for any of your services. It is one of the effective forms of including SEO services in your advertisement process. It is the latest SEO mechanism that will allow you to inform people who visit your website about the latest events and happenings that occur in your company. These blogs should be informative and short. Making them informative and interesting to read is the objective that should be achieved. This is one of the advanced concepts that have gained much popularity in recent times. Seeking SEO services in this form has made companies more reachable to the public. The concept is implemented by producing hyperlinks to the keywords that are within the content. It is one of the mechanisms of SEO that allows one to know how to implement search engine optimization procedures in an ethical way. You need to use an Analytics tool that will help you identify the keywords that are mostly used by an end user. The framing of content with the use of keywords or key phrases in a user-friendly way is what that is desired. Mobile optimized sites are getting more priority in SERPs. Nearly, more than 50 percent traffic is from mobile. So, a mobile-friendly website can improve rank slightly. So, open and check the pages on mobile regularly to confirm that if pages are working properly or not. Social sharing is the best technique to get clicks, visitors, and brand promotion. Post new images, infographics, and blogs on the social media sites such as Facebook, Instagram, and Pinterest to make people aware of your brand and services. SEO is directly in relation to content quality. If the content is of good quality, thereby website will have high rank but bad content can lead to a lower ranking. Long contents of more than 800 words explore your title in deep detail. Lengthy as well as strong content are the requirements to get success in SEO. Meta title and description are part of on page activities and they are also essential to achieve your goal in the online industry. Google reads your website Meta tags by which it gets to know what is your page about. Internal links are the links which point to the same domain where the links exist. By this activity, Google came to know that which page is important for this particular domain. Videos can attract many visitors as it is a more effective way of sharing ideas where people can see the reality and gain perfect information. But many people provide small posts in description part which is not suggested. You need to post at least of 250 words including your keywords in which you can target your keywords also. Competitor research or their analysis is the first step and implementation accordingly is the second step in SEO. So, you need to analyze from where the competitors are getting a backlink and you must also try to gain the backlink. According to the latest algorithm of Google, Website design and its speed play an important role in ranking signal. So, the speed of the website must be less or equal to 3 seconds. Link building still exists but you need to focus on quality, not quantity. It’s better to collect single quality backlink instead of quantities. Do various link building activities which have high PageRank and related to your niche. You can benefit the most if you implement any of the above mechanisms in a consistent manner to get the best results. Social media is exploding and there are many platforms which people are on and small businesses should at least be on a few of them. However, it can get tedious to be posting to 3 or 4 of them everyday. There are ways, in the options, to link Twitter and Facebook together, so that you only have to post on one of them and it will get sent automatically to the other. I’ve heard many people talk about going this route. However, this is not the best way to utilize social media. Let me explain why. A phone number gives you the ability to actually connect with the person verbally. Before you call anyone for their local Search Engine Optimisation services, make sure they have the other elements in place first, but once everything checks out, it is time to hit the digits and give them a ring. The three words you need to remember to help you stand out are: segmentation, personalisation and testing. Any decent email marketing campaign allows you to deliver on all three. And finally, the worst traffic method I could possibly think of is an idea of guaranteed opt-ins. This is a little different than the cost-per-click or cost-per-impression model. This is where you pay somebody a flat fee and they keep on promoting you until you get a certain number of email addresses. The problem with this is that a lot of the times local business promotions the person sending you the traffic is not in the same niche as you. They’re just sending you people who are simply trained to sign up for something. No matter if they’re interested in it or not. I’m not necessarily saying that these are fake email addresses. I’m just saying that the people who opt in to this list are not at all interested in buying from you or even reading the things you have to say. I can’t say that I was completely sold on network marketing. But I did see why so many people get involved with MLM. I decided to give it a trial run and started working on the business. Since I had a captive audience with my patients it was easy at first. In a short while I started to receive some nice checks in the mail, nothing fantastic” but large enough that I became more interested in pursuing the business actively. Check what they have got for their personally own website. Did they do well for the site? If in no way, you can in addition ignore them. You cannot have faith in anyone who is unable to perform on its very own website. Ask the listing of keywords they have targeted for their own website. Investigate them. In it case, I would even insist to employ an offshore SEO company if he or she did well doing SEO with regards to own website. So, just maybe, no follow links have value after all. How much we don’t know for sure, but if the engines know it’s no follow and still record the signal, there’s go to be one or more reasons. There appears to be link profile signals. The question is, are there relevance signals in the algorith for no follow links? While I won’t advise ignoring the follow tag, in an SEO or local SEO program it now appears that those no follow links are more valuable than we thought. I know a lot of people might come up with the same logic while searching for the best SEO Company for his site. But let’s take a look at the scenario from some different angles. Article marketing continues to be an excellent source of traffic and search engine bait. Many Internet marketers do not have time to write and submit their own articles. Others do not really know how to write articles and would prefer to have somebody do it for them. 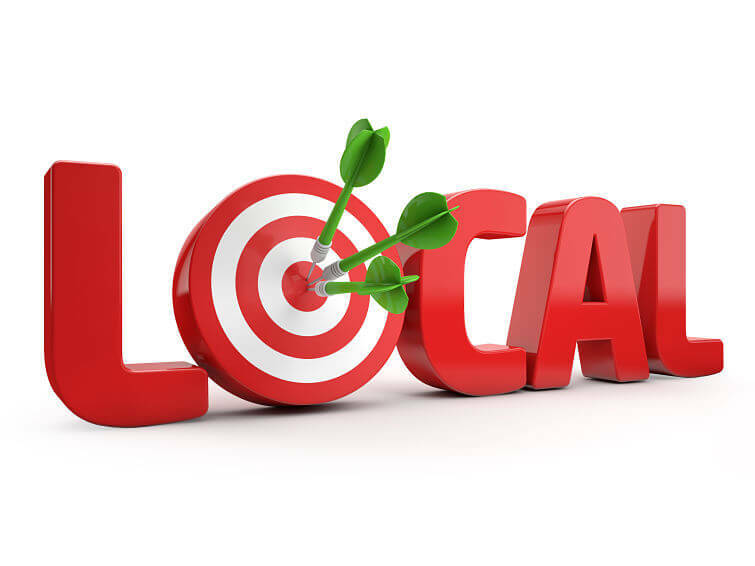 If you own or run a business the chances are you will need local Search Engine Optimisation services. Even if you don’t have a website, now is the time to start planning. If you don’t make a start, you will be falling further behind your competitors that are using the internet and SEO as a local marketing channel. Research figures have shown that some 25 to 30 percent of purchases made in store have started with research online and soon it will become 50%. If you are not intercepting that research traffic for your local business you are missing a large portion of sales to you competition. First, what are you marketing? Are you promoting your services, info products or sign ups for your ezine? This step seems surprisingly simple, but often I have to ask a client, “What do you want to sell? Coaching services? Group coaching? An info product?” The more specific you can be, the better. Hope the above information gives you the understanding why local SEO consultant is important for small business and a Guaranteed First Page on Google few things you can do to get started. How would you like to Live The Dream With Mike Dillard? Consider what he accomplished in almost no time. Mike Dillard struggled for a while. After many years of failure, self- training, and hard work he cracked the code. He went from broke nothing roles to eight figures. List your site to Google maps or MapQuest. Put your target main keywords and a good description of your business. This is very important to local Search Engine Optimisation since you want to increase your business visibility. These are five examples of business models. The real key to making money online is to establish a business model, and then zero in on a very specific niche within that Internet Local Business promotions model. When you go to the Warrior local business promotions Forum you can be bombarded with all kinds of ways to earn money. New Warrior Special Offers come out every day and are tempting, and I know that we have bought more than our share of those. Now that you can create content, it’s time to avoid doing what most folks do. Most folks learn how to create content and then do nothing with it. Be one of the rare folks that takes this skill set and builds an entire business around it. (5) Monetization. This is where you offer your product or service to the prospects on your list. You can also develop “Affiliate Programs” to sell other people’s products to your list for commissions. There are hundreds of SEO companies out there that offer quality SEO services but it is not necessary to pursue an internet marketing company, you can promote or market your website, domain, blog, forum, online store or affiliate site yourself as well. You can easily do all the internet marketing and SEO stuff. If you have no idea about it, these tips will be of great help for you. So if you want to take a behind the curtain pre-release look at the facebook secret that is about to shake the internet local business promotions to its core then I strongly recommend you read everything on the next page before it’s too late! After the doctors presentation (which I enjoyed because he gave a lot of information on the science behind the product), there was a business meeting also. Since I was already there, I stayed for the business portion of the meeting. I don’t remember the name of the person, but he gave a very good presentation. The opportunity that residual income offered was suddenly very clear to me. social marketing has become very popular. MySpace and Facebook are now being challenged by twitter as the way to build your relationships. With twitter, you can interact with hundreds and hundreds of people on a daily basis very easily. It works best if you can send people to a blog, which will direct them to your website. Once you get to know people that you twitter and they know you, they will follow you much easier. Even if you spend a little bit more money to drive down to your local retail store, it’s something you must do if you expect a business to be there next year. Based on that I do think small town businesses need some form of Internet marketing. If you’re new to being an entrepreneur, you probably need training. Look for a company that offers the tools and training you need in order to succeed. The type of training you receive can encompass everything from weekly conference calls or webinars (Internet-based seminars), to one-on-one coaching from your upline, to training manuals and other written materials.